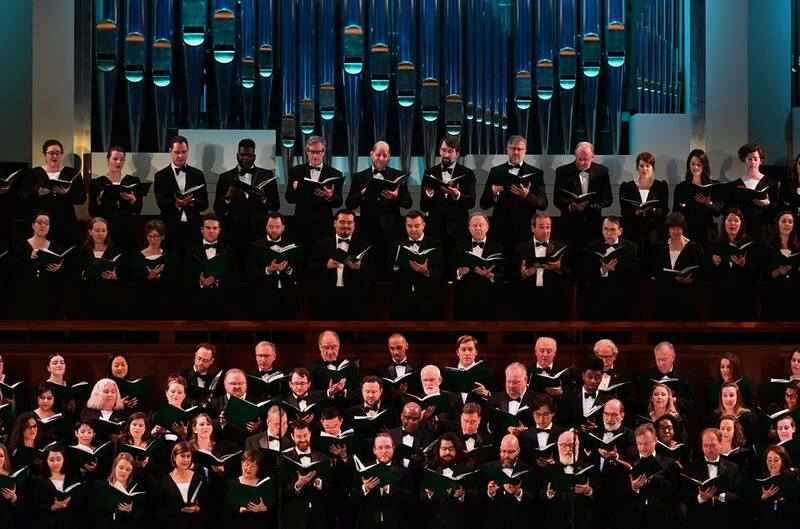 GOING GREEN: Paying homage to Artistic Director Christopher Bell’s homeland, The Washington Chorus presented a festive program celebrating Saint Patrick’s Day. A special part of any Saint Patrick’s Day celebration is the presence of the color green. But The Washington Chorus took the celebration to a whole new level as their voices raised in festive song in The Kennedy Center Concert Hall on this past Sunday. It was a sea of green as happy concert goers came ready to get into the holiday spirit. The afternoon of Irish inspired music did not disappoint as voices soared, feet tapped and hearty cheers rang out. The afternoon began with joyous traditional instrumental music performed by The Irish Inn-Mates. Serving as a prelude, the medley of sprightly Irish ‘reels’ was the perfect start to what would prove to be a joyous afternoon of celebration. Already off to a great start with the rousing applause, the mood continued as conductor Christopher Bell entered on stage clad in a dazzling green jacket. 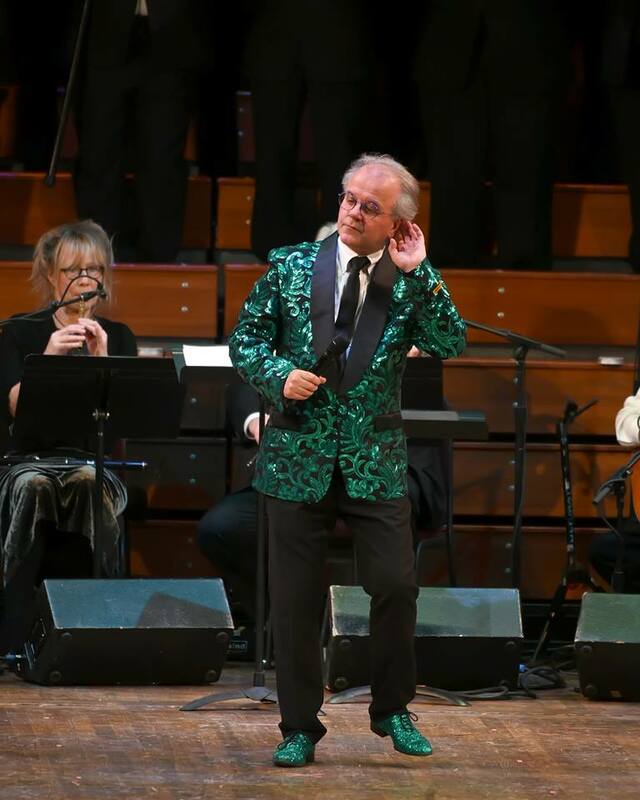 A tone of festivity was definitely the order of the day as Bell encouraged the packed house of holiday revelers to participate with cheering, toe-tapping and singing along. In this instance, the Maestro’s easy-going nature put the audience at ease and allowed for the spirit of celebration to soar free. Offering a variety of takes on traditional Irish favorites, The Washington Chorus began with “Wild Mountain Thyme” arranged by Patti Drennan. Joined by The Irish Inn-Mates, the rhythmic playing added a cheeriness to the text “Oh the summertime is coming” something that most in the audience are looking forward to, considering the harsh cold of DC winter. Turning to one of the beloved comic songs, Bell led the chorus in an a cappella setting of “Paddy McGinty’s Goat” arr. Leslie Hewlett. Beautiful harmonies with just enough vocal edge engaged the interests of the audience immediately. 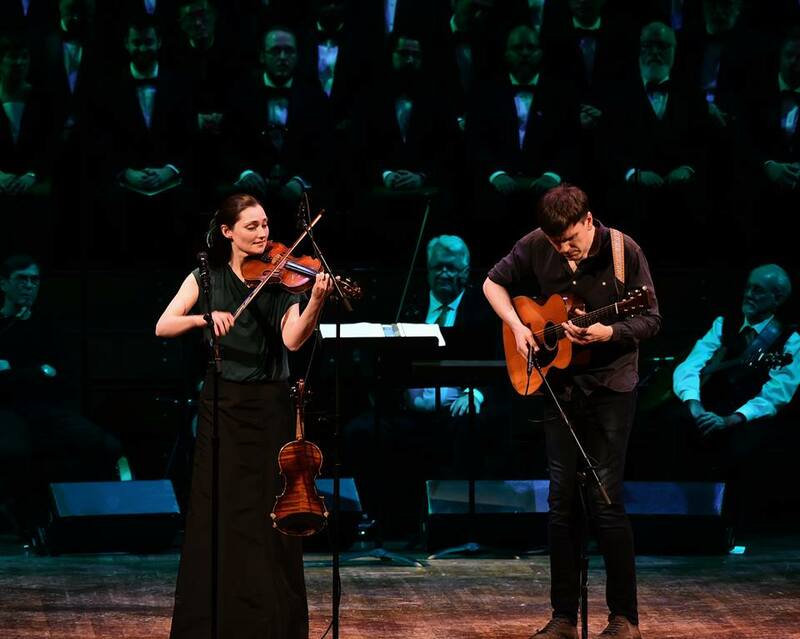 Highlighting the concert was the guest appearance by husband-wife duo and Zoë Conway and John McIntyre. In contrast to the previously heard offerings, there was an introspective feeling that one got from their performance. Conway’s classical training was on full display as the intricate lines of her fiddle weaved elegantly into the engaging strumming of McIntyre’s rhythmic guitar. Performing a variety of selections, an original piece “Desert Storm” was certainly a crowd pleaser, with its feeling of mixed meter and an unexpected dramatic ending. An added bonus was the sweet singing voice of Conway, which gave more of a gentle nod to Irish song. Then, there came time for the audience to join in on the celebration. “The Wild Rover” arranged by Mark Sirett was a rousing end to the first half of the program as the chorus and audience joined together in the spirit of holiday with voices uplifted, accentuated with enthusiastic clapping. One of the remarkable features of this concert was the wide variety of Irish Songs: from the cheery to the more reflective. “Down by the Salley Garden” is perhaps one of the most beloved Irish love songs. Sung in the beginning accompanied by the solo guitar, the men began in melodious harmony which swelled with the accompaniment of the flute and fiddle. “The Rakes of Mallow” was a livelier selection with the addition of the hand drum. The alternation between the men and women’s voices captured frolicking nature of the text. Providing the perfect segue, Ambassador of Ireland to the United States, Daniel Mulhall to the stage to recite the poem “The Song of Wandering Aengus” by William Butler Yeats. What a wonderful touch his presence added to the concert. Also featured prominently on the program was The Culkin School of Traditional Irish Dance. 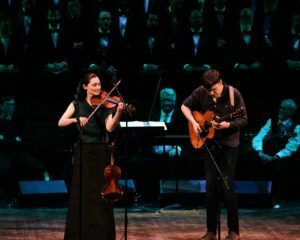 Whether performing traditional Irish dances or a twist on the River Dance, the troupe was a sheer delight, punctuating the program with engaging choreography that held the rapt attention of the audience. It was a joy visually and aurally to experience these dances with the live accompaniment of The Irish Inn-Mates. The evening was also a point of education about the tradition of Irish song. “Parting Glass” as Maestro Bell informed was the Irish equivalent of “Auld Lang Syne.” Soloist Brian Hill led the selection with a bright vocal resonance that lended itself to the sentimentality of the piece. Joined by the full chorus, there was was a haunting quality as it ended in a dark, minor key.